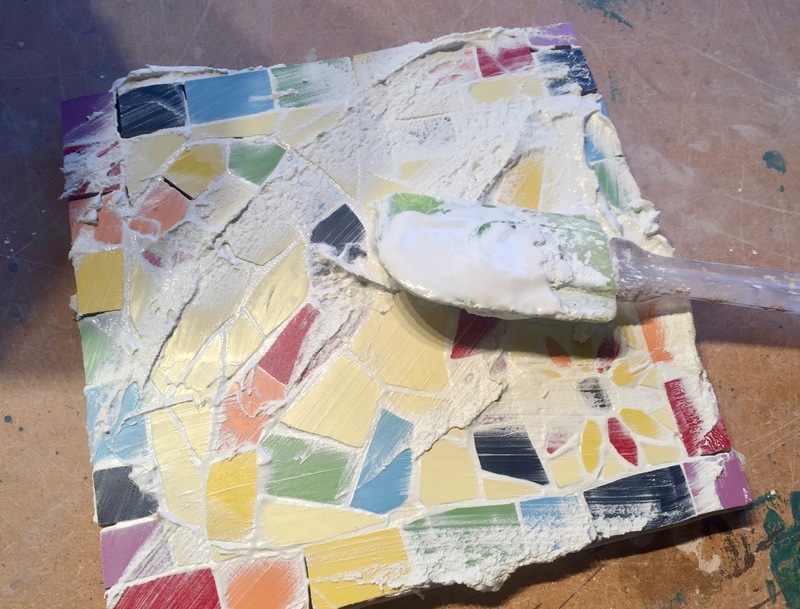 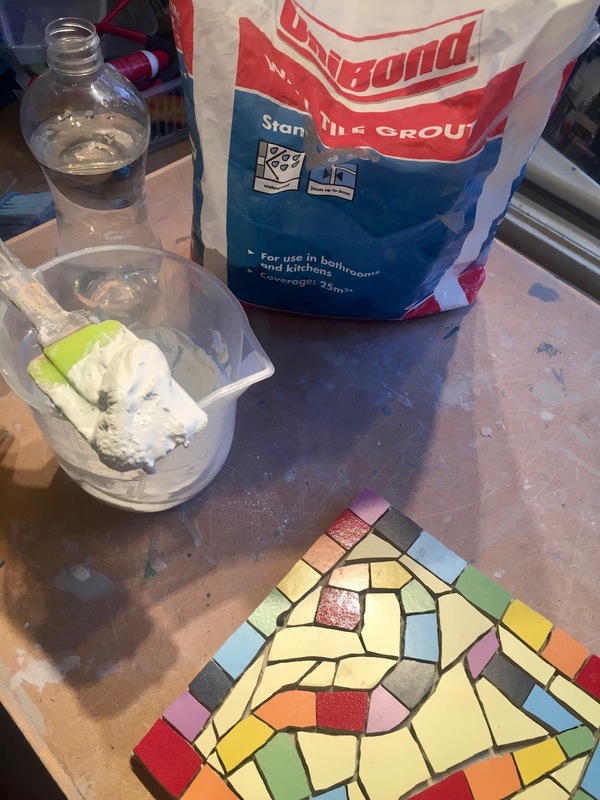 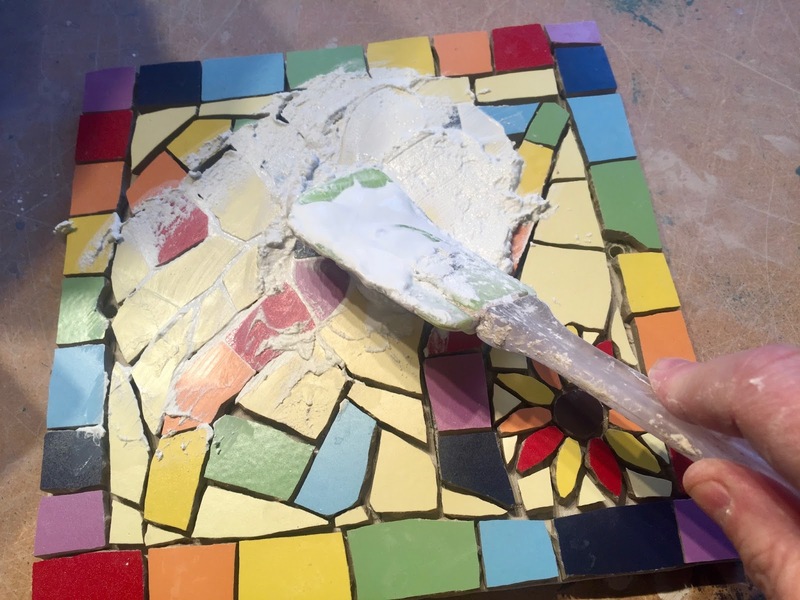 Felicity Ball mosaics: How I grout a rainbow mosaic house number with sunflower motif! 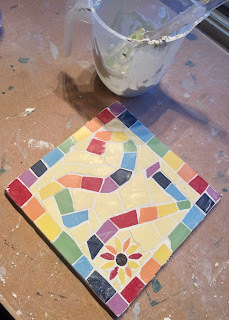 Hi there - I use the ones from www.hobbycraft.co.uk with the red handles - they are about £15 and lasted me for years! 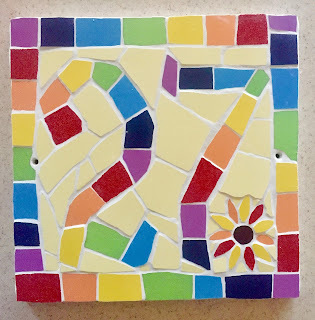 I’m very happy to find your blog. 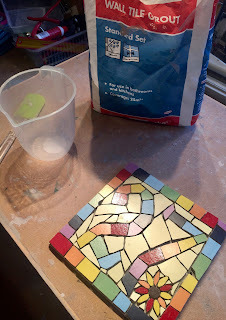 Thank you for sharing advices of how to make mosaics. Your posts are easy and interesting to read. I’m a beginner in mosaics and feel very inspired to create many things. I’d like to ask you if you use some kind of board as a temporary base with moving frame (for different sizes of mosaics) in order to make the edges of mosaic exact straight and even? 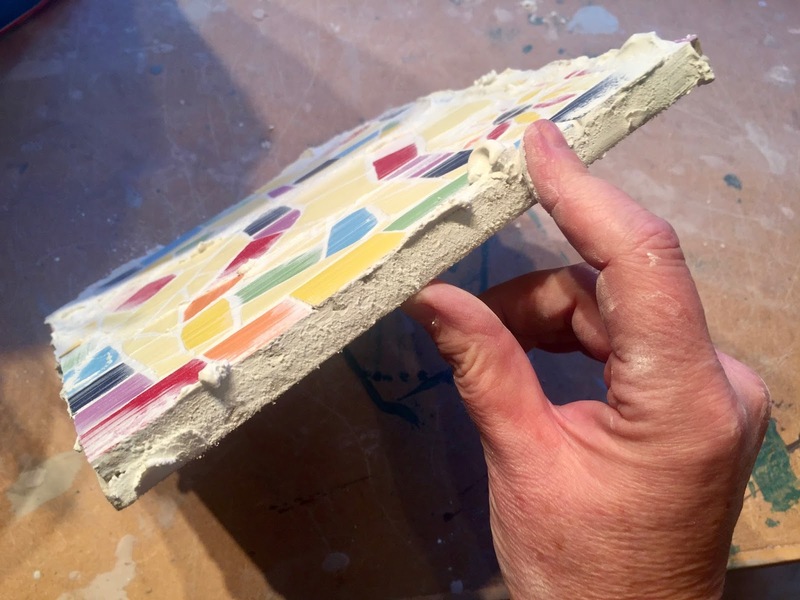 How do you manage to lay the tiles so even along the edges? Is it just a matter of experience or you have some facilities for making it so straight?